I will apologize in advance, English isnt my first language nor do I come from a English speaking culture so I might sound rude. I'm a Swede, a proud one too, I do like my boring big old country ( 5th biggest in Europe), lots of space not that many people ( 17 in population size). I love cooking and I used to write poetry , hence the name CakePoet, my friends call me that. I am willing to debunk myths about Swedish food, explain the Swedish love for coffee and lingon jam and help anyway I can when it comes to Swedish food and culture. So is there a place for me here? Welcome, CakePoet! No need to apologize, your English is perfect. Good to meet you! This sounds like a nice place! Should say I do cook a lot from scratch, nearly creating the universe due to my intolerance and allergies. Hi CakePoet! I love ligonberry jam! Hello. Have you ever eaten Surströmming?I like to try things. Am I missing out? Should I try and get some? I have eaten surströmming, it a normal part of gowning up as Northerner in my generation. No, I dont like it at all because I hate herring, doesnt matter if it is fresh, pickled or fermented, not something I enjoy. But if you can over come the smell and eats like the posher surströmming lovers do it isnt worse then stinky cheese. Dont eat out of date and find a better brand then Röda Ulven ( that is the most common one in horrible surströmming youtube clips). My mum and dad have it for lunch or dinner , like normal pickled herring. Welcome CakePoet from another poet! I even teach writing, when my beloved wife lets me out of the kitchen. So every now and then, our local grocery has a good sale on ground beef, huge discount, so I stock up, but it is the 'use today or freeze immediately' thing, because steeply discounted ground beef is quite suspicious. 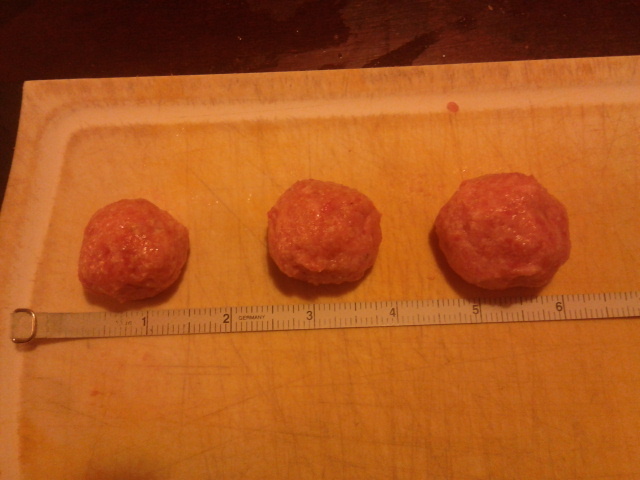 One of the things I do when there is such a beef bonanza (that's an idiom for a lot of beef) is make tons of meatballs, which I put 25 to a ziplock and freeze. I actually have a recipe for sauce to use with these, and for the meatballs themselves that I use, from my Grandmother who called them Swedish Meatballs. Is this something swedes eat? Or is it something we made up here in the States. I'd love to hear some Scandinavian recipes from you, hope you like it here. I'm kind of new myself, and a bit of a bore, sometimes unkindly to other posters, and am totally willing to hijack threads for my own thinly veiled but yet mysterious personal agenda, but nobody has really yelled at me yet. I think (and hope) you'll like it here. I'm so close too to putting metric equivalents in my recipes, I could probably use practice with the math, but who am I kidding, I'd do it on my iPhone. Hope to have lots of cooking fun talking and exchanging thoughts with you. We ate so much herring during winter as kid that I started disliking, I wasnt fond of it to start with but could it it , when I hit 8 I was fed up, refused to eat it. One day fried and breaded and then next day the same fish for lunch but pickled and cold. Hurr. 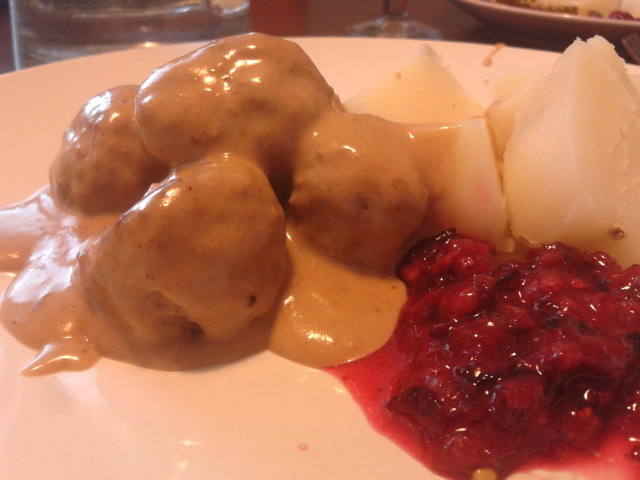 Swedish meatballs does exist, we have cream gravy and lingon and pickled cucumber with them. Here is picture on the size of them. The smallest is for Smörgåsbord, medium size buffet style/ dinner style and larger dinner style / worker style.